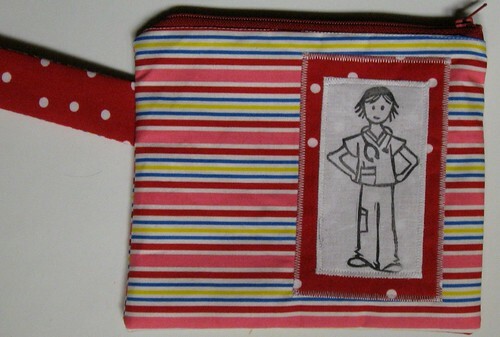 I made a few of these little zipper pouches for my myself and some nurse buddies of mine. They are perfect for keeping extra pens, hemostats, scissors and other small personal items for work. 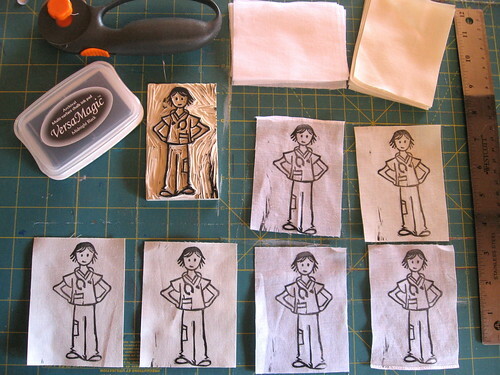 I carved the cute litte nurse girl out of a rubber stamp and used VersaMagic ink pads to stamp the image onto fabric. Worked pretty well. 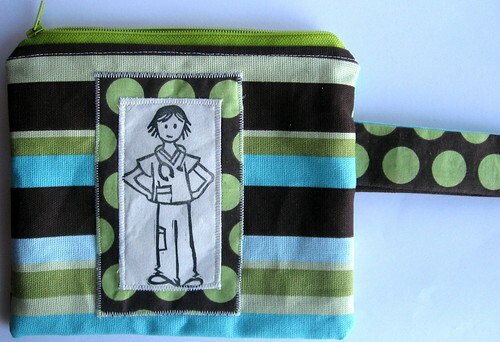 I also used THIS great tutorial for making the zipper pouch. EASY!!! Do not fear the zipper! OMG! Those are tooo coool! I want one! LOVE the colors…yay! very cute! I love the fabrics you used. Any chance of a carving tutorial? How did you know I feared the zipper? 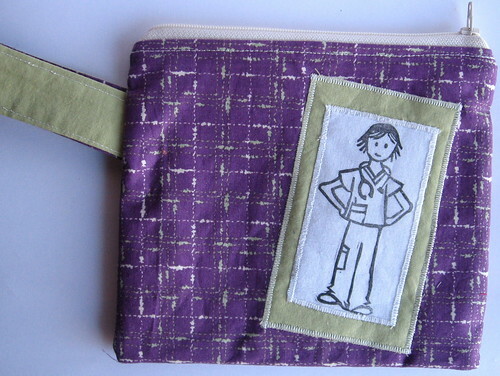 What a great job – on the eraser and the sewing! I didn’t know the VersaMagic pad was permanent or is it not?